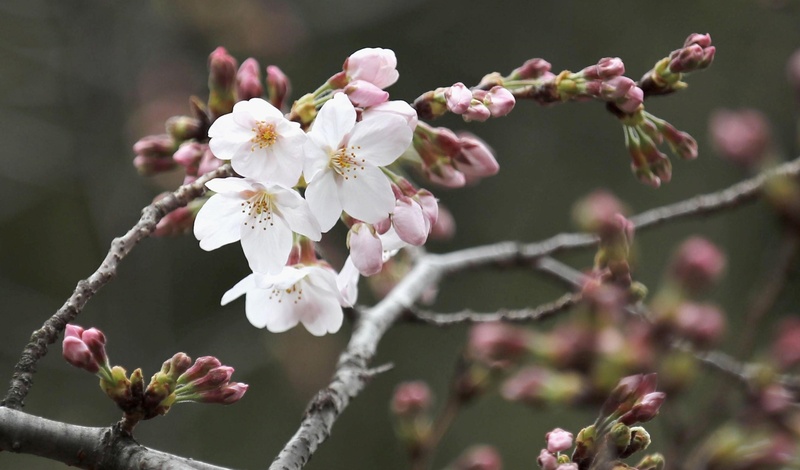 The cherry blossom season officially arrived in Tokyo on Thursday after officials from the Meteorological Agency confirmed that more than five blossoms had opened on a Somei-Yoshino cherry tree at Yasukuni Shrine in Chiyoda Ward. Most Somei Yoshino cherry trees in Tokyo are now expected to be in full bloom in about seven days. This year, the sakura (cherry blossoms) arrived five days earlier than average and four days later than last year. 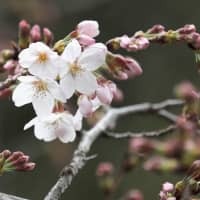 The Meteorological Agency declares the arrival of sakura each year after confirming that more than five flowers on one of its monitored Somei Yoshino trees have bloomed.